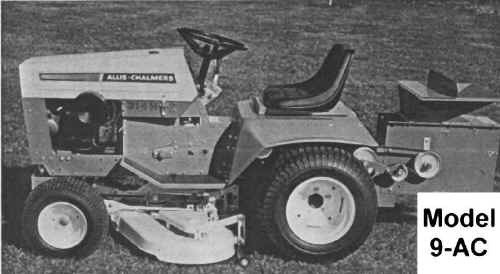 Mounts to most Allis Chalmers Tractors. 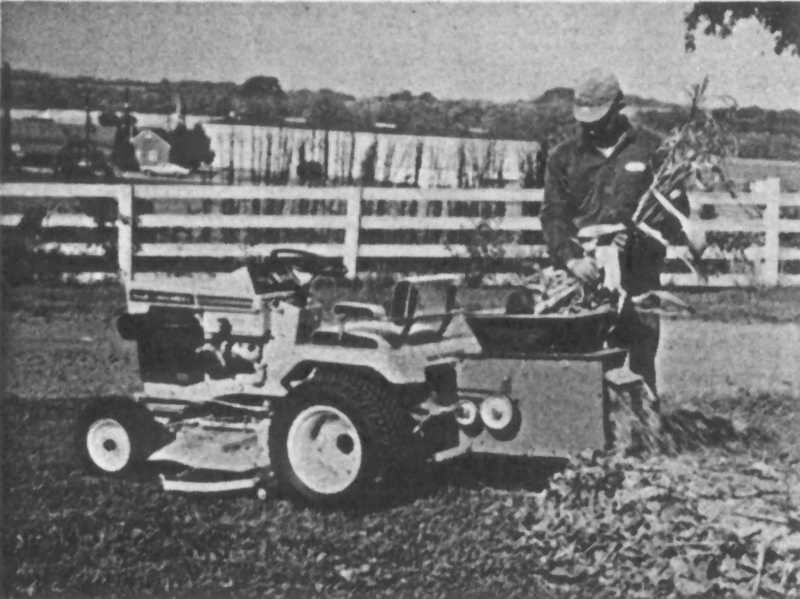 By using our shredder-grinder you can process leaves, flower stalks, corn stalks, weeds, manure, garbage, weed vines, grape vines, hedge cuttings, tree pruning limbs up to 11/2'' diameter into a fine growing medium. Fine potting soil can be produced by passing peat and soil through this machine. Your tractor will transport the shredder and provide driving power. Shred newspaper, cardboard, tin cans. The balanced rotor has 24 hardened steel hammers, free swinging for true hammer mill action. Each hammer has four cutting edges providing many years of use. Heavy duty external ball bearings. Epoxy paint. width 22" - length 30"
width 22" - length 52"
height 35" - wt. 165 lb. 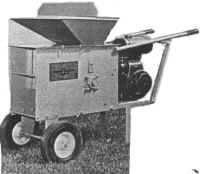 Self-powered Mighty Mac shredder grinder -- Model 9-P with 4 hp or 5 hp engine. Model 9-AC mounted on a B-110 tractor. Shredding corn stalks and tree prunings. You are cautioned that the manufacturer will not be responsible for injuries caused by the improper operation of the shredder such as placing any part of your body or clothing in the feeding or discharge area.